​Welcome to West End Primary School's Website. 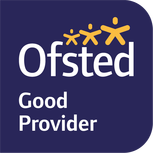 We are a one form entry primary school on the outskirts of Oswaldtwistle and have been providing a high standard of education for over 100 years. ​We hope that you will find our website easy to use. The site's main aim is to provide information for both parents and children. Parents can sign up to receive newsletters via email by completing the box at the bottom of this page. Please keep checking back soon on the site for more developments and news. West End is a successful school that celebrated its' Centenary Year in 2014. The school is a blend of old Victorian buildings and more modern developments. We are situated on the outskirts of Oswaldtwistle and the views from the classrooms are stunning. You can find out more about our history by clicking here. Our Facebook page is very popular and we use it to share events and news. We've over 300 likes from all over the world and it is a great place to share the work of the school.